With Philosophy’s Renewed Hope In a Jar, a bestselling moisturizer and gentle exfoliator in one, the skin is gentle resurfaced and smoother looking while getting full hydration benefits at the same time. 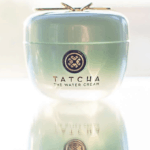 It’s pretty rare to find an award-winning beauty product that provides skin resurfacing benefits, moisture, and makes it Oprah’s magazine and list of “favorite things” list years in a a row, but with Hope in a Jar all of these checkboxes are filled. Plus, the skin is not only left feeling silky smooth and looking more youthful and radiant, theres a gentle facial scrub to the cream that helps remove buildup and dead skin. When you’re in need of a great day and night cream and feeling dry, even if you have sensitive or acne-prone skin, and are also looking for exfoliating action without the use of a harsh or abrasive scrub that leaves the skin feeling irritated, Hope In a Jar actually renews our faith and hope in skincare products and leaves us feeling fresh throughout the day. So is it worth it for its price and does a two-in-one product like this really work? We reviewed to find out. Philosophy’s Renewed Hope In A Jar is a 2oz moisturizer for all skin types that lightly scrubs dead skin and debris away and detoxifies while providing hydrating, even for dry/very dry skin types. Hope In A Jar is actually the first exfoliating cream I have found on the market in general, and I was quite pleased to see the benefits with use and how great my skin felt and looked after using it even a single time. Great for men and women and those of all age groups, anti-aging benefits with use include signs of less fine lines, wrinkles, sun spots and damage, and reduced hyperpigmentation. I noticed less fine lines around the forehead area within a few weeks of continual daily use. Using it for the first week, my skin felt smoother and softer, and looked more radiant, brighter, cleaner, and detoxified. Even with dry skin (and it is perfect for those with all skin types as it provides great balance even for those with oily or combination types looking for oil control through the day), the lightweight texture was enough to fully hydrate my skin while gently exfoliating it and leaving it looking fresh and restored. The light exfoliation of the cream helps speed up the cellular turnover process, which helps the skin look younger and fresher and gets rid of any dead skin cells and debris or build up. It’s easy to see why this is an award-winning cream and favorite with celebrities even as a moderately priced item, as not many creams can also lightly exfoliate the skin at the same time, and visibly restore a younger looking appearance. When you’re in search of moisturizing and detox benefits in one jar, this product is well named, as it will definitely give you back some hope, and lives up to its hype. For those of use with sensitive or acne-prone skin, or simply those just concerned with the ingredients in the products we use in our skincare products, checking the labels contained in creams and serums can be as important as those in the foods we eat. It’s also important to know what these ingredients are actually doing for our skin everyday. Renewed Hope In a Jar’s main formula is Lactic Acid, an anti-aging and brightening ingredient that can be gentler than a lot of other chemical based peel type exfoliants (like glycolic acid). Overall, I have never tried an exfoliating cream that left my skin feeling so soft and looking so refreshed and vibrant after use, and the multi-use benefits really add value. While it isn’t the same as using a scrub, it definitely detoxifies and gets rid of dead skin while providing moisture for dry skin at the same time, which is a really rare find. If you have very sensitive or acne-prone skin (or price barriers are a concern given this item’s cost for you) or have not used Philosophy products in the past, the return and exchange policy in this case may be a highly important factor for you. The manufacturer, Philosophy, has a strong return and exchange policy that honors full refunds upon dissatisfaction or allergy, and this policy favors the consumer, both new and returning. 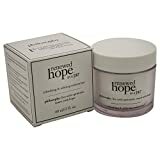 If you are dissatisfied with the use of Philosophy’s Renewed Hope In a Jar, or if it does not work for your skin to provide suitable skincare, exfoliating and general hydrating benefits, or you experience any product allergy or reaction to the formulation, you may elect to return it at any time. In this case, the formulation of the Renewed Hope In a Jar was quite gentle enough to use even with very sensitive and acne-prone skin and did not cause any irritation or breakouts, and it is designed to be extremely gentle for all types of skin, but spot testing is definitely recommended with all skincare products. Philosophy’s Renewed Hope In A Jar: Worth It For Its Price? There are very few, if any, moisturizing creams available on the market that can provide gentle exfoliating benefits to the skin while hydrating and anti-aging at the same time. When I find one that’s moderately priced (and endorsed by Oprah), I tend to stick with it, wouldn’t we all? Philosophy’s Renewed Hope In A Jar is a bestselling standout because it gets a few jobs done at once- which is what we all really want to spend our money on, rather than shopping around for several items and then footing a larger bill. Using this lightweight cream, even with dry skin my skin felt incredibly softer and silky, looked younger (with visibly less fine lines around the forehead area), tone and texture were more even, my skin was clear, toned, and bright, and extremely hydrated. So when you’re in need of a great triple-threat that will take care of several issues at once, Philosophy’s Renewed Hope In a Jar is the perfect remedy and a great bathroom staple to use as both a daily moisturizer, anti-aging cream, and light facial exfoliating treatment. While it could be a bit cheaper, considering the ingredients and all that it does in one jar, this truly gives us hope, and we highly recommend this powerful potion!